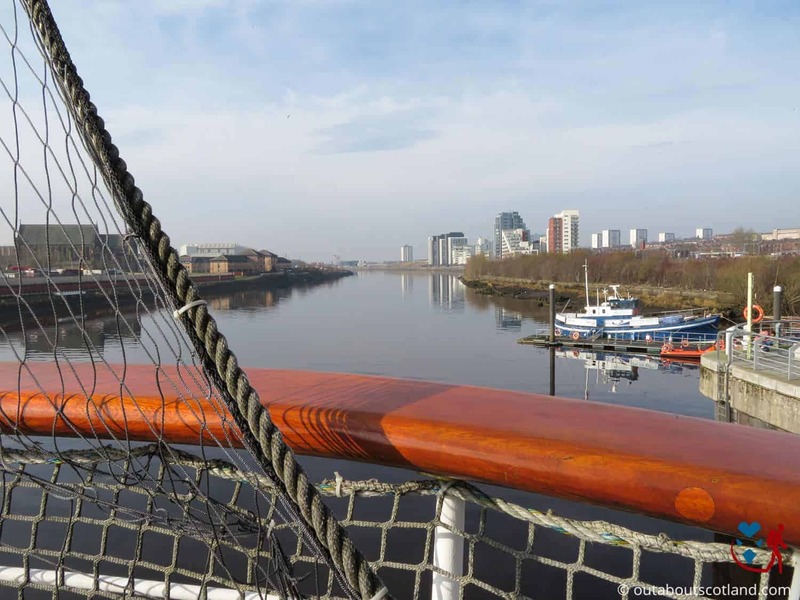 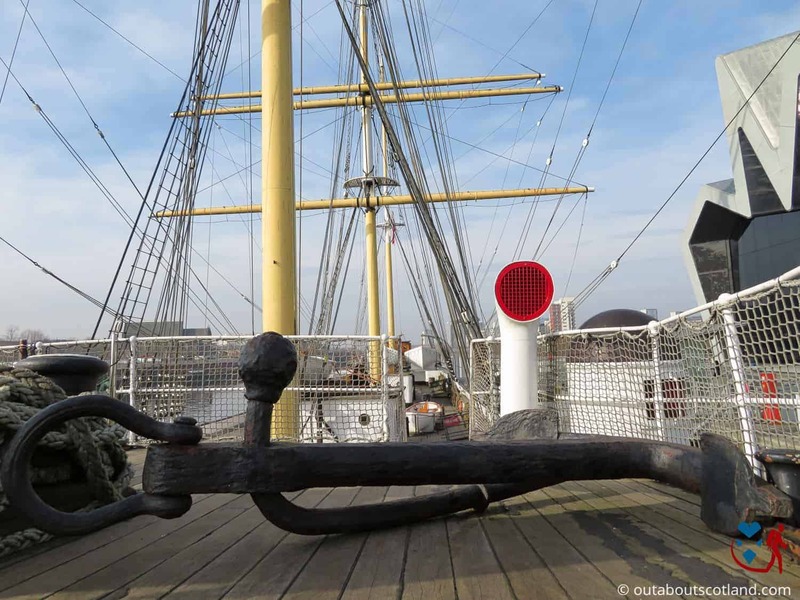 One of the highlights of visiting Glasgow is heading down to the River Clyde and having a look around The Tall Ship, the 19th-century sailing ship moored alongside Pointhouse Quay. 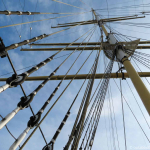 This fully restored three-mast sailing ship offers an interesting glimpse into a bygone era of wind-powered shipping that’s open to the general public as a four-star rated museum. 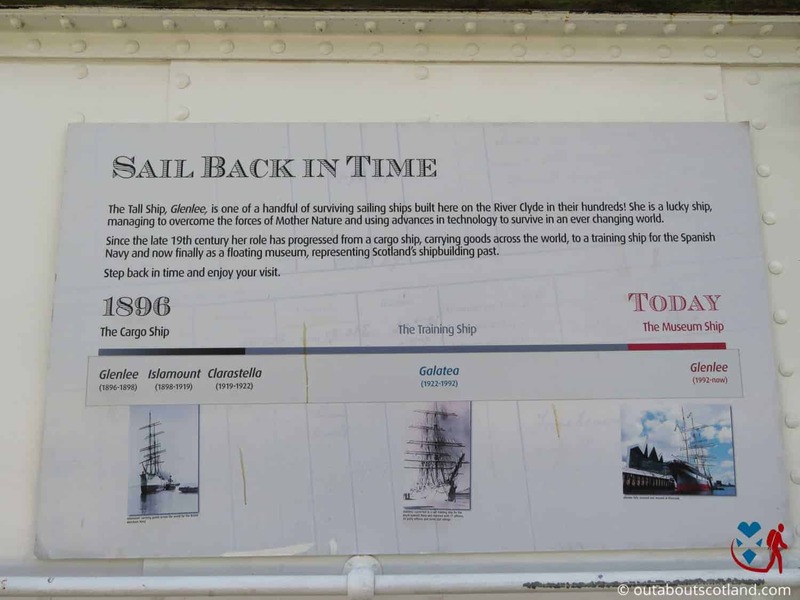 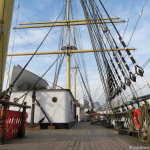 The Tall Ship (real name Glenlee) is one of only five remaining sailing ships built on the Clyde that’s still afloat today, and a visit is well worth making the time for if you’ve ever wanted to know anything about Glasgow’s long-lost shipbuilding heritage. 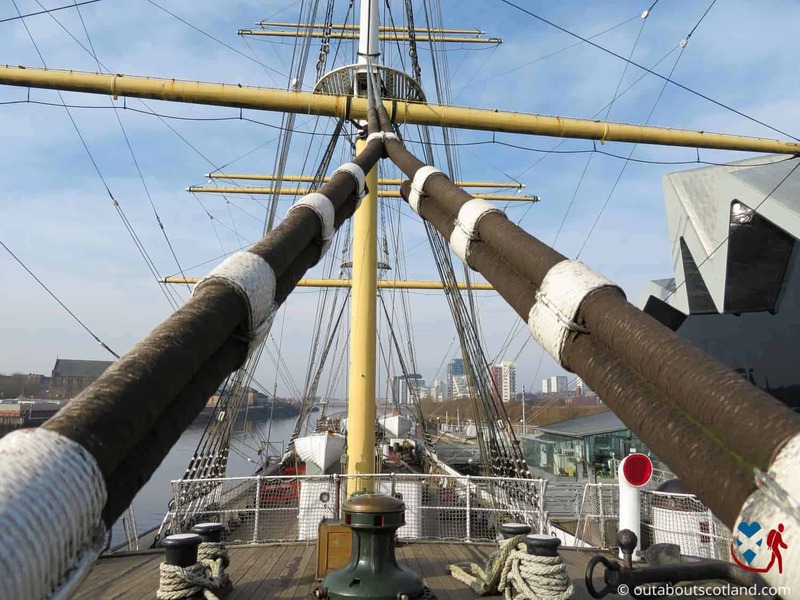 The Glenlee is one of those tourist attractions that’s guaranteed to keep all members of the family entertained, and mums and dads will enjoy their visit just as much as the kids thanks to the tales of her sea-faring voyages captured on numerous displays dotted around the ship. 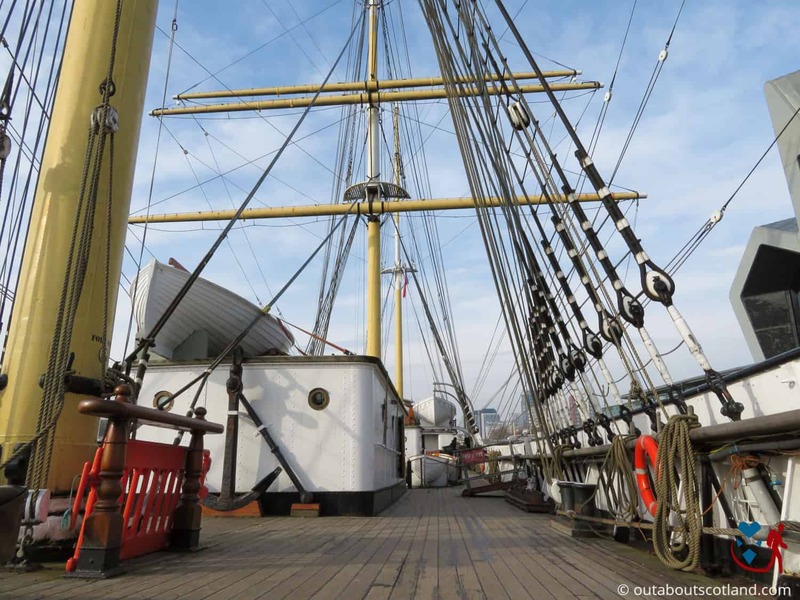 Questions like ‘what did the crew eat?’ and ‘where did the ship sail?’ are answered in detail during your walk around this grand old vessel and there’s an informative audio guide that’ll let you in on some of the secrets of what life was like on a British sailing ship over a hundred years ago. 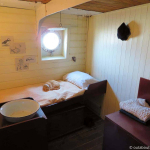 But perhaps the best thing about a visit to the Glenlee is exploring every nook and cranny and imagining what it would have been like to live onboard her as she sailed around the world’s oceans. 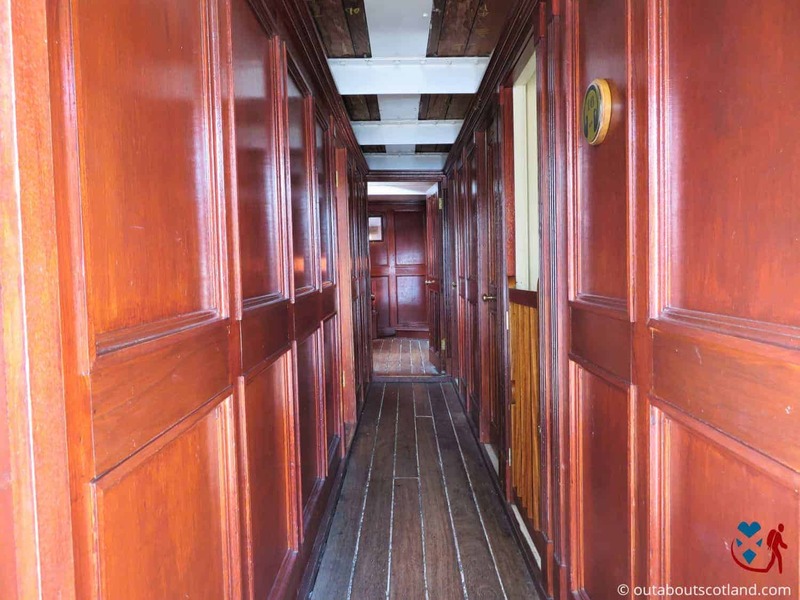 It’s pretty much impossible to get bored at this attraction because there are loads of things to see and do including taking the wheel in the wheelhouse, inspecting the captains quarters, viewing the onboard cinema, and walking around the cargo hold, and there’s even a restaurant and gift shop onboard. 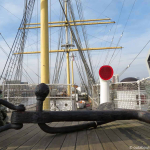 I have to say I was mightily impressed by this floating museum during my time in Glasgow and I think if you head the River Clyde to see The Tall Ship for yourself you’ll agree with me that it has to be one of the city’s best attractions. 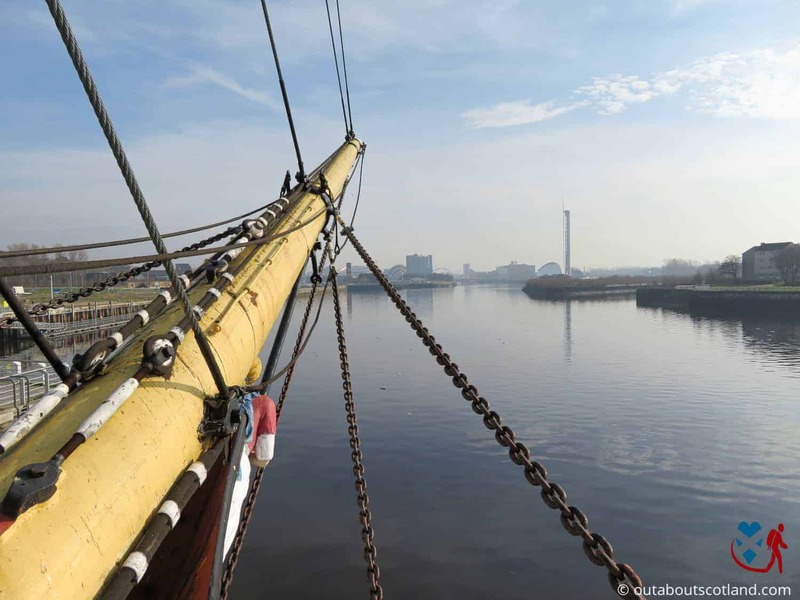 There’s a surprising amount of things to see in The Tall Ship and I really wasn’t expecting to spend more than a half hour aboard her, so I was surprised to find myself strolling through the exit over two hours later. 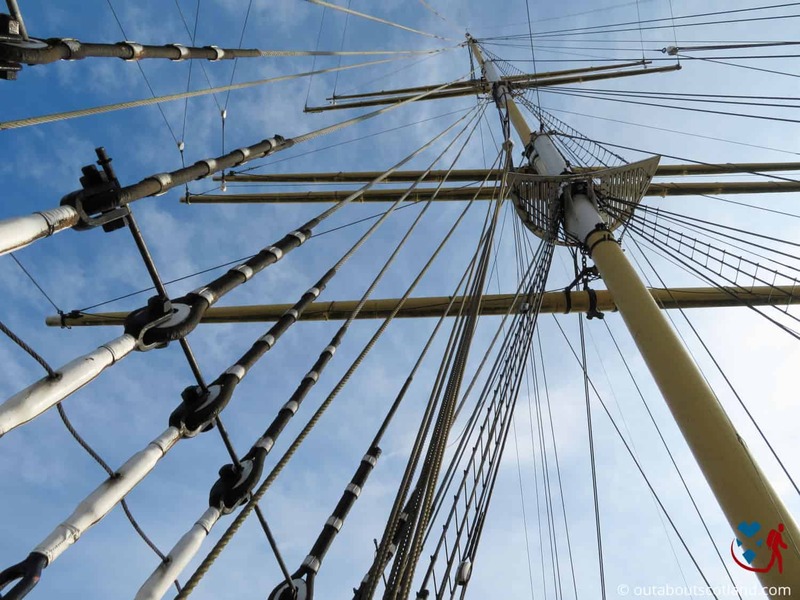 You’ll begin your tour at the gangway and from there you can walk around the upper deck and look inside the main deckhouse before stopping to gaze up at the masts and their impossibly complicated network of ropes and pulleys. 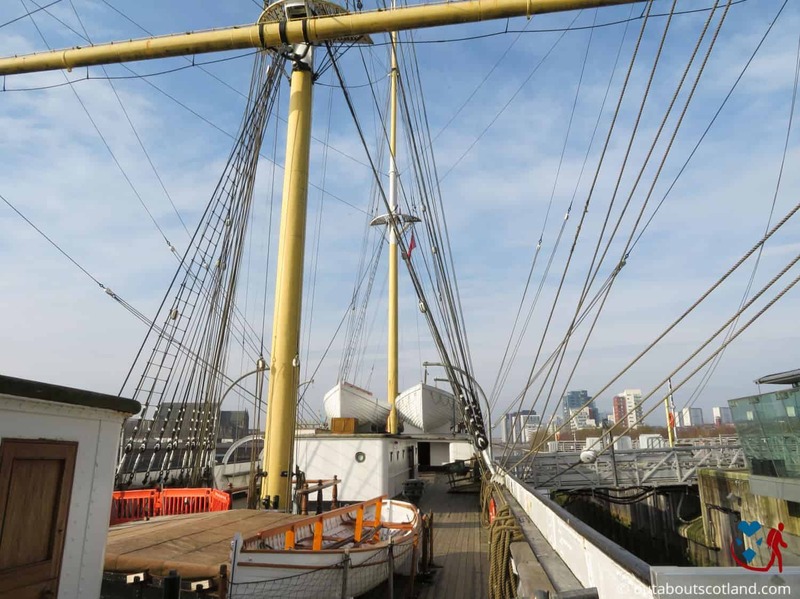 How those yester-year sailors managed to keep all that rigging in working order is hard to imagine but it must have been a back-breaking job keeping the Glenlee ship-shape as she sailed across the globe. 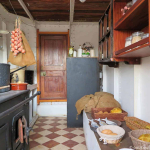 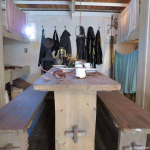 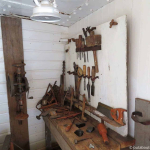 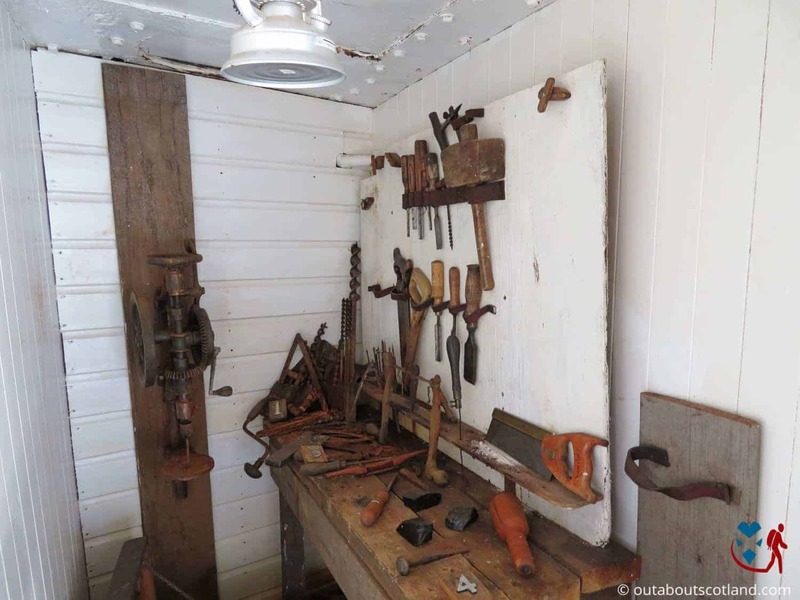 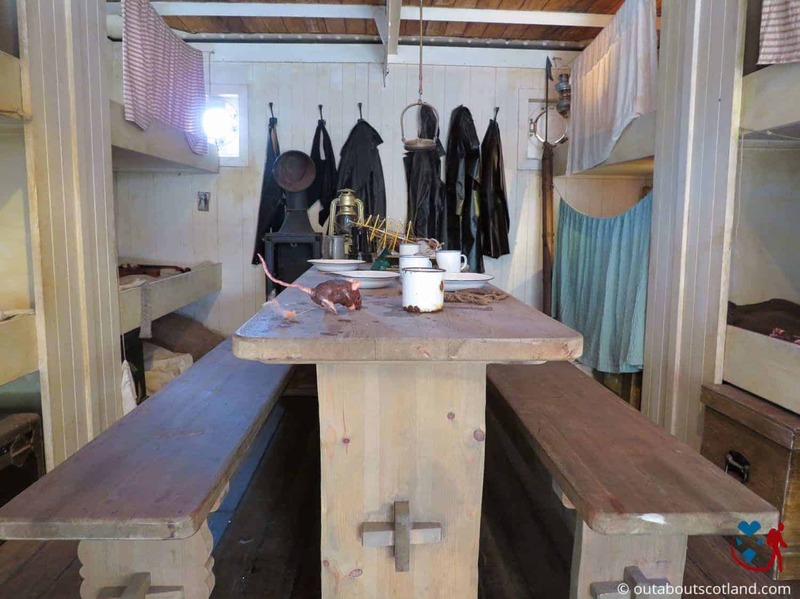 The upper deck is also where you’ll find the galley and the carpentry and sailmaking workshops, and it’s in these recreated sections of the ship where the history of the Glenlee really comes to life. 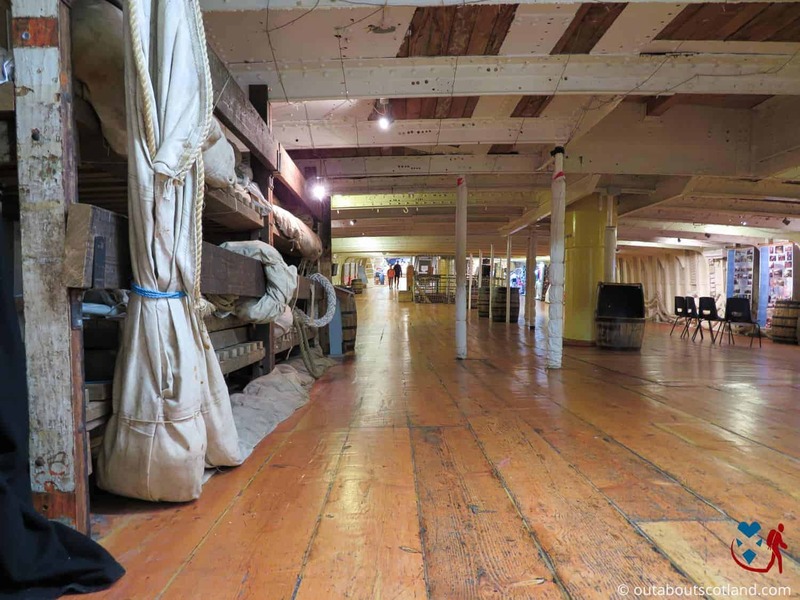 All these areas have been faithfully restored to their original condition and it’s genuinely interesting to see how the sailors would have lived and worked when the ship was operating in her heyday. 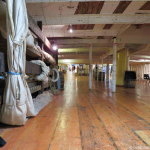 From the upper deck you’ll move down to the tween deck, and I guarantee you’ll be surprised at how big this ship actually is once you start exploring the lower levels. 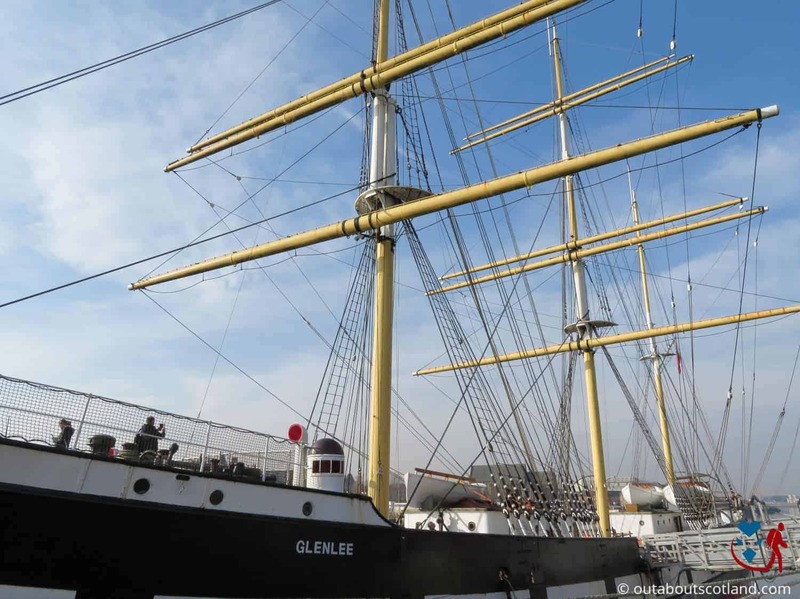 The Glenlee is a bit of a Tardis because she seems to be a lot bigger on the inside than you’d think from looking at her on the quay, and not only is there a fairly well-stocked gift shop on one side of the tween deck but they’ve also managed to fit a decent cafe in there as well, both of which take up less than half the floor space of the deck. 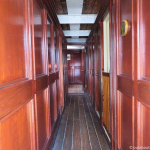 The cafe is pretty good and you can grab a coffee and a basic lunch – think chips/soup/sandwich – for a reasonable price before heading out to wander around the rest of the ship. 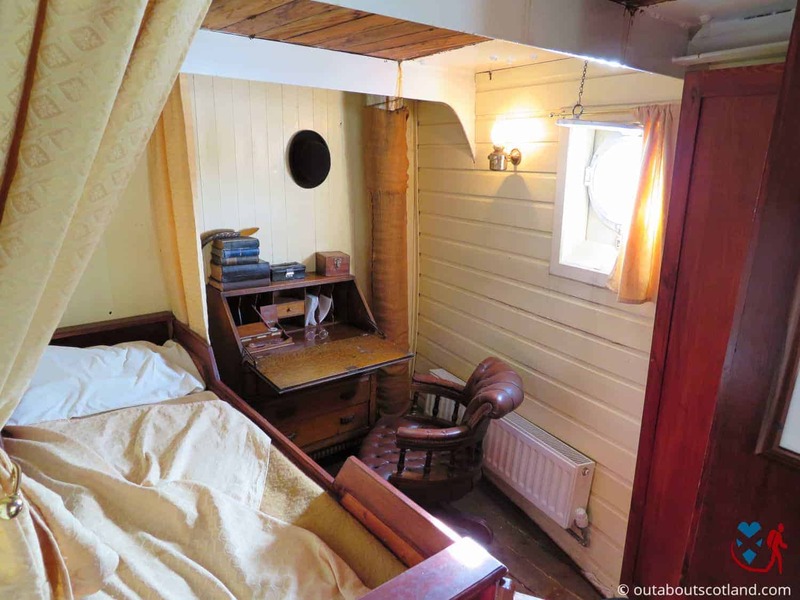 The only negative I have is that you might feel a bit enclosed because the only windows are small portholes, but on the other hand how often do you get to munch a sandwich inside an old-fashioned sailing ship? 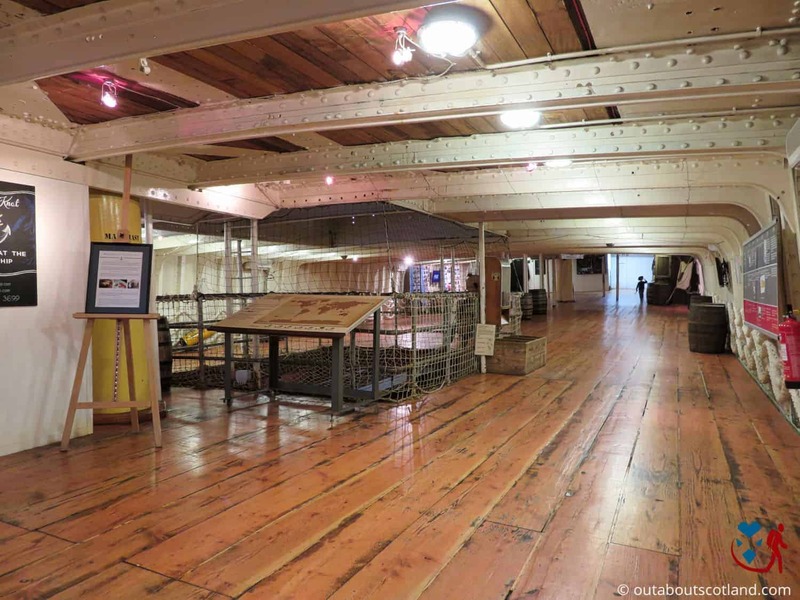 The lower deck is where you’ll find the toilets and an education room along with a few displays of the type of cargo the ship would have carried, but it’s the cargo hold that really impresses. 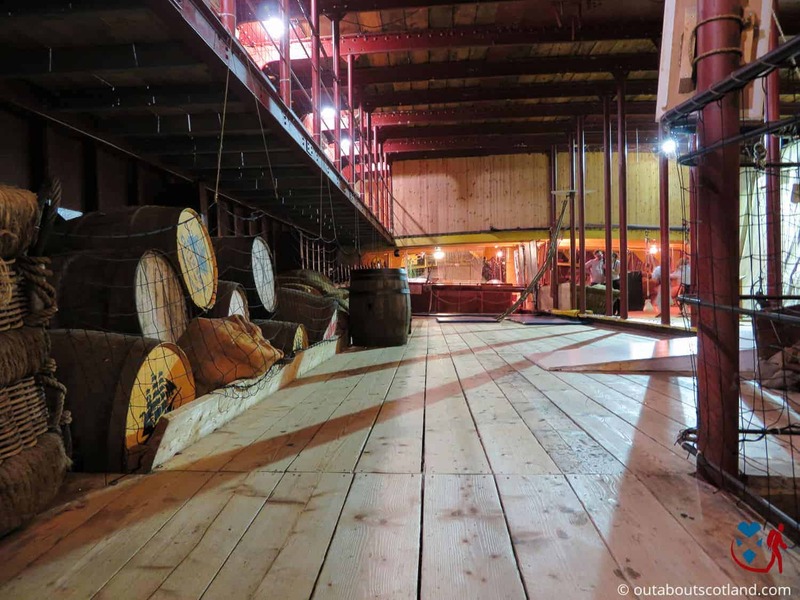 It’s way bigger than you might expect and even though it’s dimly lit down there it’s a brilliant place to explore. 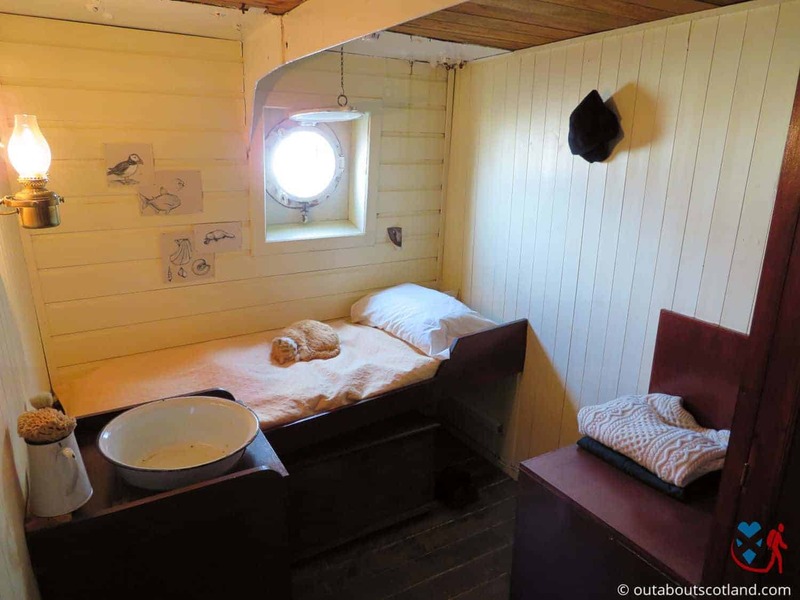 If you’ve got kids with you they’re going to love spending time in the hold, especially seeing as there’s a play area and mini cinema down there too. 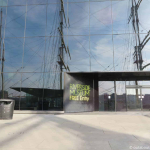 It’s a really nice touch to have somewhere to let the kids burn off some energy and it’s further proof that this attraction totally deserves it’s four-star Scottish Tourist Board rating. 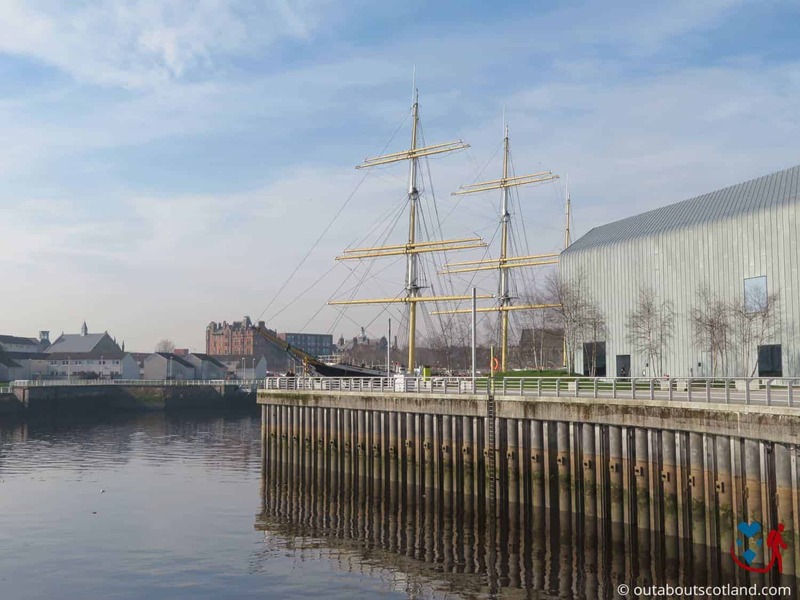 Perhaps best of all, The Riverside Museum of Transport is situated next door to where The Tall Ship is moored so you can easily combine a visit to both attractions in one afternoon – which you should definitely do seeing as they’re both completely free to enter. 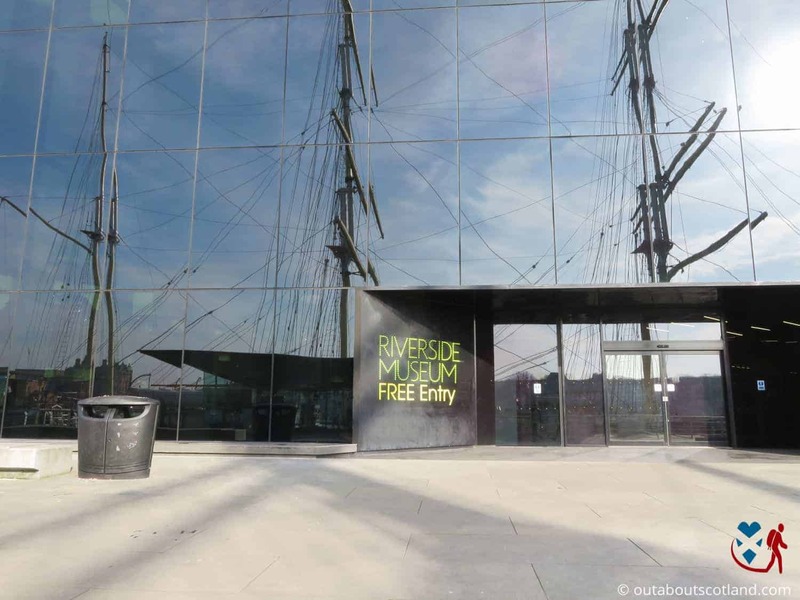 If you’re in Glasgow and looking for a cheap way to kill a few hours I honestly can’t think of a better place to visit than the River Clyde and these two fascinating museums. 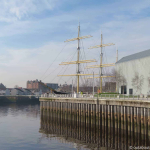 The Glenlee was built in 1896 as a cargo ship at the Anderson Rodger shipyard in Port Glasgow, and during the course of her 47 years of service she navigated the world’s oceans both as a transport vessel and as a military training ship before being rescued from destruction and converted into the floating museum that we can visit today. 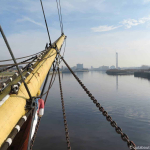 The vessel changed ownership several times during the 23 years that she operated as a bulk carrier and was renamed Islamount in the early 1900s until she was purchased by the Star of Italy shipping company in 1919. 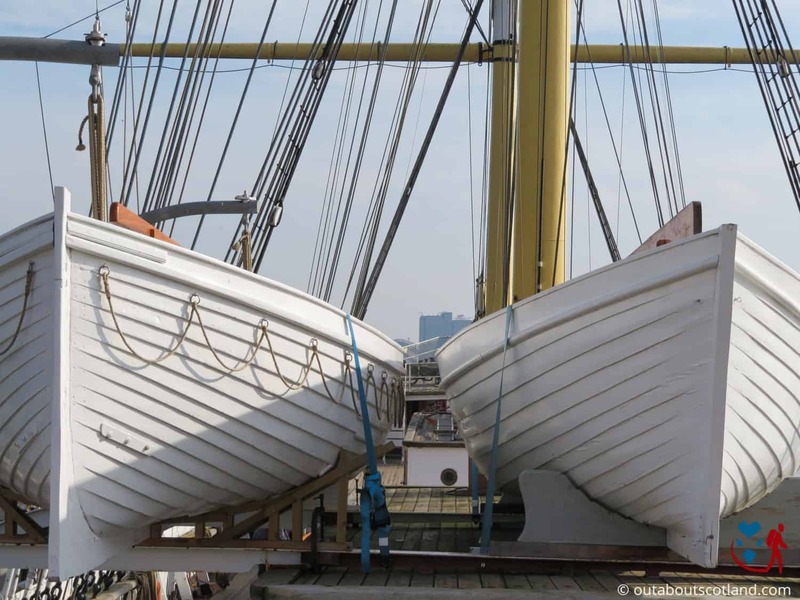 At this time the days of traditional sailing ships were dwindling due to the preference for motorized power and by 1922 Islamount’s Italian owners had retrofitted the vessel with two auxiliary diesel engines. 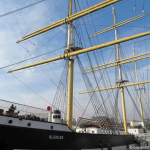 Shortly after this upgrade she was sold to the Spanish Military Naval School who renamed her the Galatea and converted her into an officer training vessel capable of accommodating three hundred military personnel. 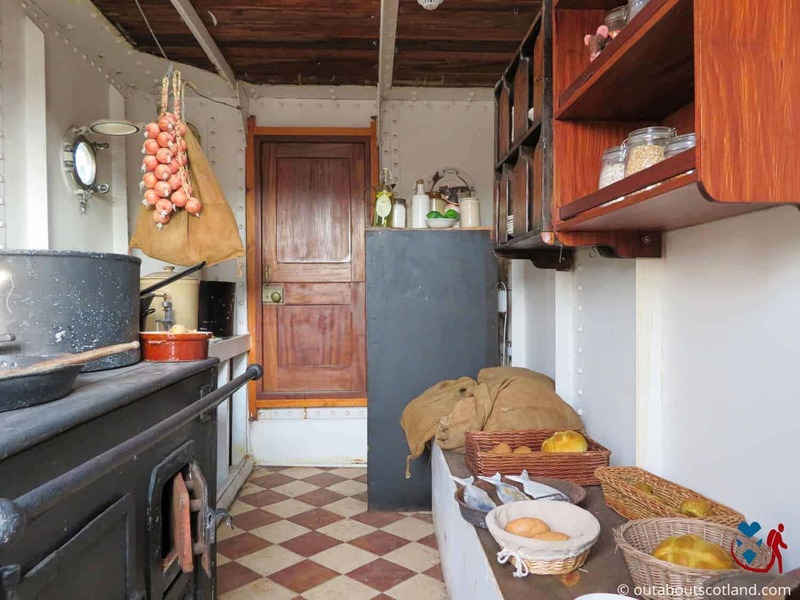 By 1943 the Galatea had been abandoned in a Spanish port and it seemed as if her sailing days were over, at least until plans were made to transform her into a floating naval museum in Seville. 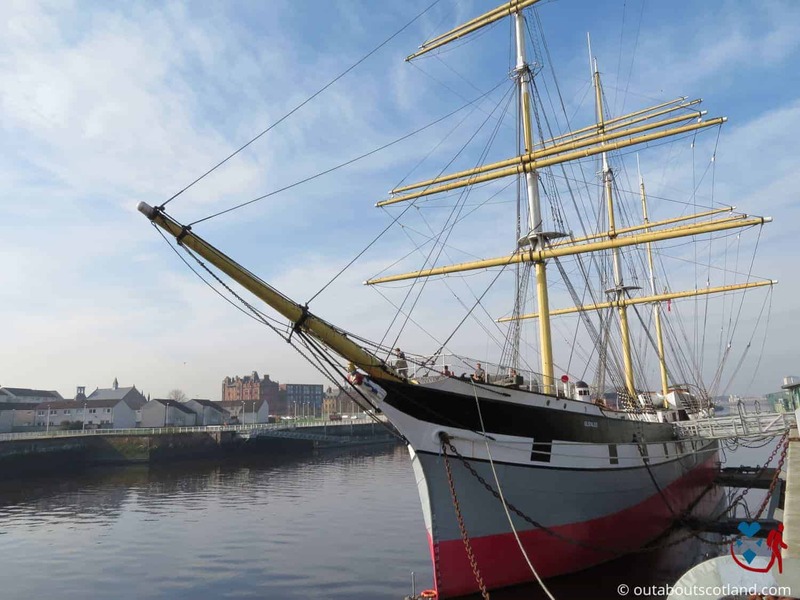 Unfortunately (or perhaps fortunately for Glasgow) the Spanish decided to scrap her in the early 90s but thankfully she was discovered by a British naval architect and was subsequently purchased by the Clyde Maritime Trust. 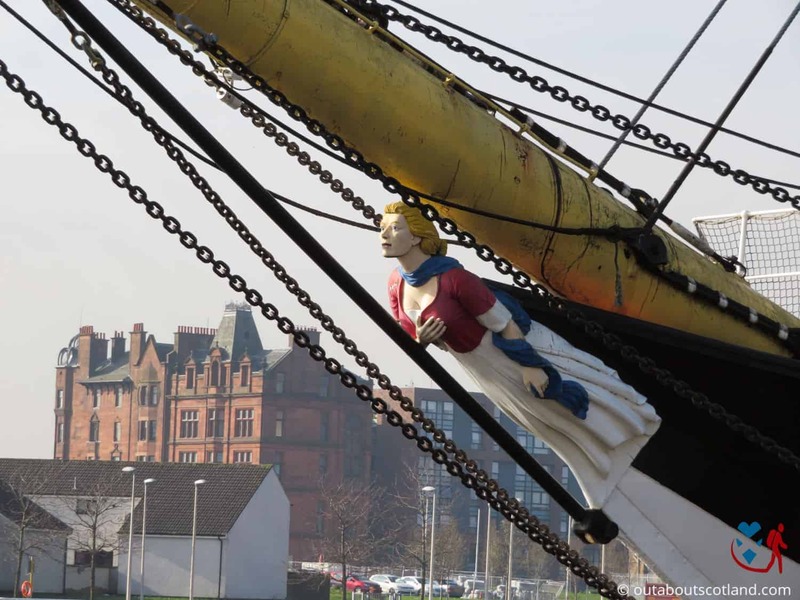 The trust ensured the ship was restored with her original name Glenlee before carrying out an exhaustive six-year plan of restoration that completely transformed the sailing ship into the faithful recreation that we see today, and she’s now a permanent fixture at Glasgow’s Riverside Transport Museum on the River Clyde. 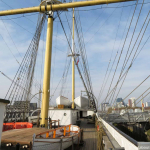 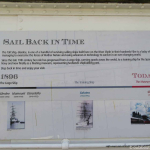 The Tall Ship is free to visit but voluntary donations are welcome.